Grosset & Dunlap, 9780448443744, 160pp. One afternoon, Hank overhears his mom and Frankie's mom talking about having a baby. Having a baby!? It must be Frankie's mom that they're talking about! Frankie will go crazy when he hears about this! Hank worries about how to break the news to his best friend, until he finds out that it's his own mother who is pregnant! How could she do this to him? One annoying sibling is enough. Hank definitely did not order this baby! Henry Winkler is an accomplished actor, producer and director. In 2003, Henry added author to his list of achievements as he co-authored a series of children's books. 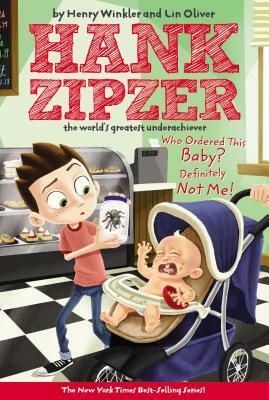 Inspired by the true life experiences of Henry Winkler, whose undiagnosed dyslexia made him a classic childhood underachiever, the Hank Zipzer series is about the high-spirited and funny adventures of a boy with learning differences.